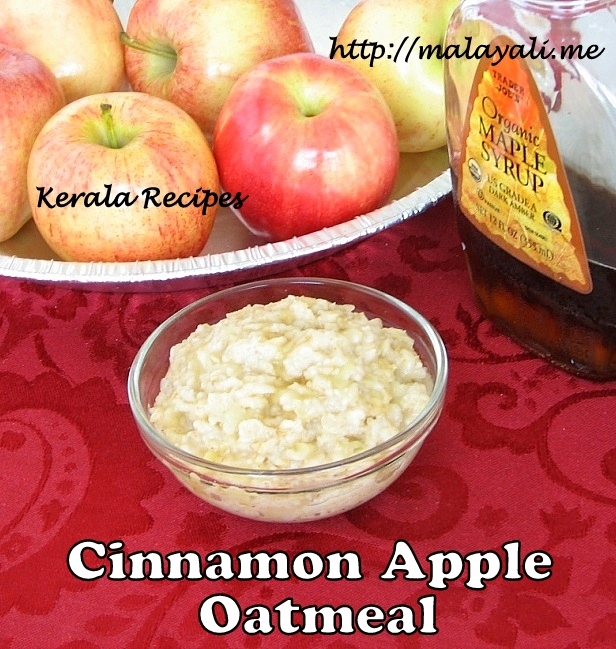 Hera is an easy and healthy recipe for breakfast – Cinnamon Apple Oatmeal. You can make this in less than ten minutes. So forget about skipping breakfast and start your day in a healthy way! Combine all the above ingredients in a saucepan. Bring to a boil and then simmer for 3-4 minutes until thick. Serve hot with your favorite nuts as topping.